Denis Waitley once said, "The reason most people never reach their goals is that they don’t define them, or ever seriously consider them as believable or achievable. Winners can tell you where they are going, what they plan to do along the way, and who will be sharing the adventure with them." "I see my job as helping clients define, and subsequently reach, their goals, while we share the adventure along the way." Jennifer Fitzgerald is a Partner in the Litigation Practice Group and has extensive business litigation experience in matters involving intellectual property, securities, antitrust and general commercial litigation throughout the United States. Her legal experience includes trial and appellate work on behalf of both plaintiffs and defendants in a wide range of complex litigation matters. As a registered patent attorney, Jennifer has the ability to discuss inventions at their most scientific level but she also is skilled in the art of explaining technical issues to lay persons. She has advised clients and litigated patents throughout the U.S. on topics as varied as golf clubs, windshield wipers, diet modification software, visual skills enhancement, package design, medical products, acoustic echo cancellation technology, RFID technology and wireless communications. Jennifer has represented multiple clients before the International Trade Commission, both as respondent and complainant. With first chair trial experience in the infamous Wiper Wars, Jennifer appeared in no less than 7 Section 337 cases, several of which were tried to determination. She assists clients with prosecution and protection of trademarks and copyrights worldwide. She has organized raids against counterfeiters in China, actively assisted a client in the "reclamation" of trademarks in Europe and recovered U.S. domain names from cybersquatters. She maintains contacts with a worldwide set of foreign counsel to serve the international needs of her clients. Initially stemming from her intellectual property and litigation backgrounds, Jennifer regularly advises clients in the area of product recalls. 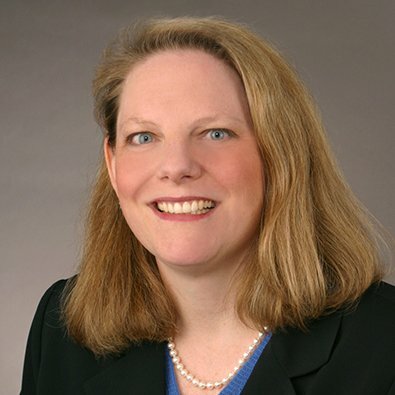 Having represented clients before the Consumer Products Safety Commission, National Highway Transportation Safety Administration and the U.S. Coast Guard, she is skilled in the assessment and management of a product recall, recognizing the sensitivity in protecting a brand and consumers alike. She also assists clients in evaluating internal practices and procedures related to recall preparedness. In these advisory roles, Jennifer and clients work together to minimize the impact of a recall on the company as a whole. In her securities practice, Jennifer served on a team that won the only "fraud on the market" securities class action case in which, after trial, a jury found the company not guilty, despite evidence that directors were selling shares prior to a disappointing earnings announcement. She also has represented broker dealers in both class action suits and regulatory body investigations. In the antitrust context, she has participated in actions before the International Trade Commission and the Department of Justice. In addition she represented a client in a U.S. antitrust action, alleging tying, predatory pricing, monopolization and attempted monopolization in the international arena. As a result of both her broad legal experience and her personality, Jennifer also serves as outside general counsel to several companies. In this context, she provides general advice and counseling services, and facilitates problem identification and resolution. Represented a publicly traded maker of automatic identification and data capture equipment through nationwide, multi-jurisdictional litigation (including the International Trade Commission) against one of its largest competitors, securing favorable settlements in all matters. Represented a client in litigation to enforce patent rights relating to an extensive portfolio of radio-frequency identification ("RFID") patents. Represented a manufacturer of wiper blades in multi-year, multi-jurisdictional litigation over developments in wiper technology. Served as intellectual property counsel to large backpack and suitcase manufacturer. Devised and enforced worldwide trademark portfolio; oversaw transfer of intellectual property when company was sold. Jennifer L. Fitzgerald spoke on the topic “The International Trade Commission: Game Changing IP Results in an Underutilized Arena” April 28, 2017, at the “Litigation Management: New Trends and Techniques” litigation management forum for in-house counsel. Freeborn is proud to announce that Edward J. Hannon and Jennifer L. Fitzgerald, have once again been named to the 2012 Irish Legal 100. Partners Edward J. Hannon and Jennifer L. Fitzgerald have been chosen to be part of the 2010 Irish Legal 100, a listing of the leading figures in law across the United States.